UK Leases & Rentals. Easy Download. Preview Before you Buy. 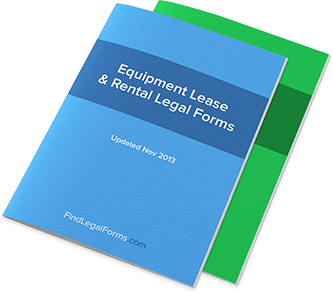 Equipment Lease Agreement Equipment Lease Agreement for use in the United Kingdom (England and Wales). Equipment Lease Amendment Agreement (England and Wales) This Equipment Lease Amendment Agreement is designed for use in England and Wales. This form is available for immediate download. Equipment Lease Extension Agreement (England and Wales) This Equipment Lease Extension Agreement is designed for use in England and Wales. This form is available for immediate download. Equipment Lease Termination Agreement (England and Wales) This Equipment Lease Termination Agreement is designed for use in England and Wales. This form is available for immediate download. Office Equipment Lease Agreement (England and Wales) This Office Equipment Lease Agreement is designed for use in England and Wales. This form is available for immediate download. Bicycle / Scooter Rental Agreement & Release (England and Wales) This Bicycle/Scooter Rental Agreement and Release is designed for use in England and Wales. This form is available for immediate download. Boat Rental Agreement & Release (England and Wales) This Boat Rental Agreement and Release is designed for use in England and Wales. This form is available for immediate download. Costume Rental Agreement (England and Wales) This Costume Rental Agreement is designed for use in England and Wales. This form is available for immediate download. Horse Rental Agreement (England and Wales) This Horse Rental Agreement is designed for use in England and Wales. This legal form is available for immediate download. Off-Street Vehicle Rental Agreement (England and Wales) This Off-Street Vehicle Rental with Release and Waiver of Rights form is designed for use in England and Wales. This legal form is available for immediate download. Personal Watercraft Rental Agreement & Release (England and Wales) This Personal Watercraft Rental Agreement and Release is designed for use in England and Wales. This form is available for immediate download. Skate Rental Agreement & Release (England and Wales) This Skate Rental Agreement and Release is designed for use in England and Wales. This legal form is available for immediate download. Amendment to Lease (England and Wales) This Amendment of Lease is designed for use in England and Wales. This form is available for immediate download. Lease Extension Agreement (England and Wales) This Lease Extension Agreement is created for use in England and Wales. This legal form is available for immediate download. Lease Termination Agreement (England and Wales) This Lease Termination Agreement is designed for use in England and Wales. This legal form is available for immediate download. Furniture Lease Agreement (England and Wales) This Furniture Lease Agreement is designed for use in England and Wales. This form is available for immediate download. Basic Residential Lease Combo Package (England and Wales) Get 5 forms for just $14.95. Save 60%! This Basic Residential Lease Combo Package is designed for England and Wales. This combo package is available for immediate download. Premier Residential Lease Combo Package (England and Wales) Get 16 forms for just $44.95. Save 59%! This Premier Residential Lease Combo Package is created for use in England and Wales. This combo is available for immediate download.